In 2013, the Colorado Department of Human Services, Division of Child Support Services (CSS) underwent a name change from Child Support Enforcement to Child Support Services. Along with this shift in name, a shift in perspective and priorities took place. Child Support Services began a transformation in agency culture towards a family-centered approach. As part of the Governor’s two-generation approach (2Gen approach) to combating multi-generational poverty, the child support program looked at how to provide child support services across multiple generations within a family. 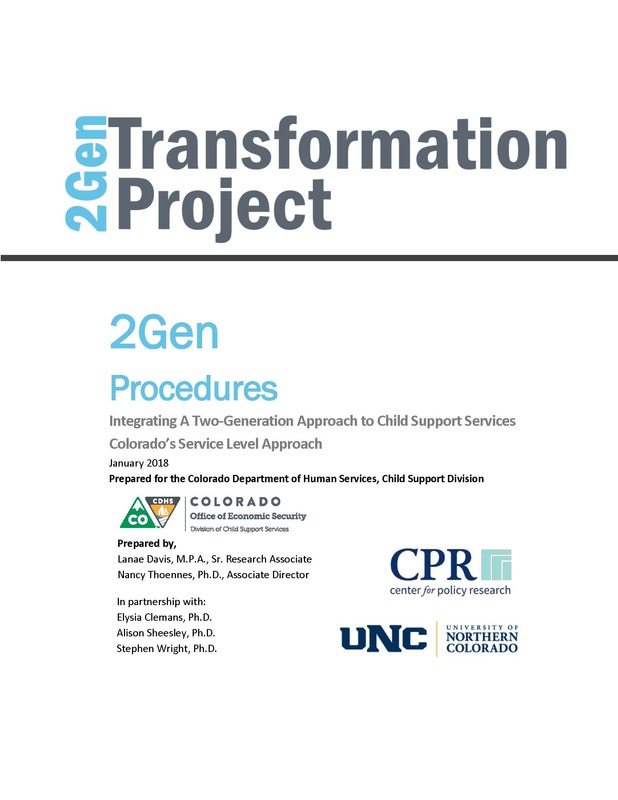 This document offers guidance for establishing and implementing a 2Gen approach to service delivery at the local child support agency level.